Saturated buffers use a control structure to divert drainage water from a field and raise the water table within a riparian buffer. 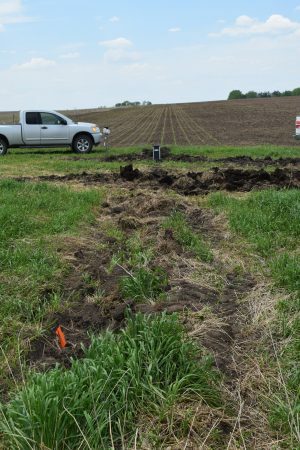 Water flows through the soil in the buffer, where it has a chance to interact with plants and microbes in the buffer for nitrate removal. 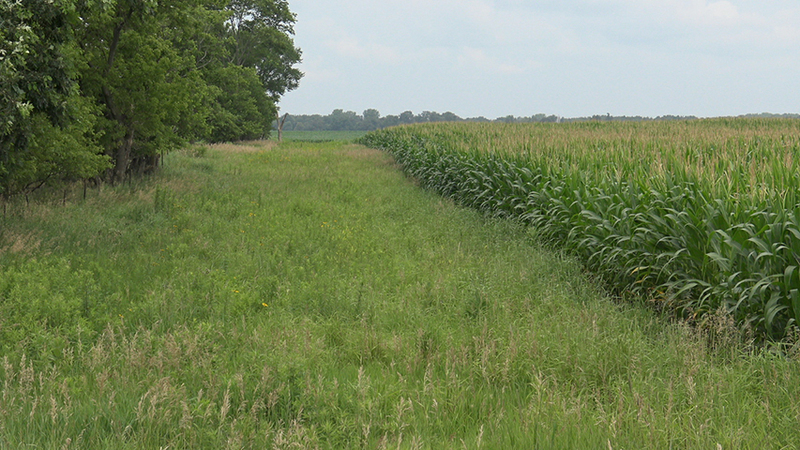 A saturated buffer includes a tile line that runs parallel to a stream in between a field and a buffer strip. A control box is at each end of the tile line.